Franklin Monroe Brown was born in Goshen, Oregon, on May 19, 1913. His father was Allen Monroe Brown who married Mable Susan Askew. He was a foreman with the Southern Pacific Co. After completing high school, Franklin attended the Oregon Institute of Technology and then the Capitol Radio Engineering Institute. Franklin and Ardna were married June 26, 1946, and they have three children: Richard Alan, 1948; Robert Monroe, 1950; and Joanne Mauree, 1964. 1949-1953 President & Chief Engineer, Brown Electro-Measurement Corp.
Franklin Brown is the author of several Military Technical Manuals, and papers relating to the theory and operation of various electronic equipment and components. He has also issued several patents in the fields of mechanical and electronic devices. Franklin became interested in the earth sciences as early as the 7th grade in school although he remembers an extensive agate collection that started when he was in the second grade in a school in the Rogue River Valley near upper "Table Rock." The contemplation of the origin of the "Tables" in the Rogue River Valley was most intriguing. Crater Lake was also fascinating to him. His other hobbies have been astronomy and photography. In about 1936 several papers by Professor Warren D. Smith of the University of Oregon came to his attention and renewed his interest in geology. In the early 1940's the book, The Scenic Treasure House of Oregon turned him into a "geological explorer." He became a member of the Society in 1955 and soon learned "to appreciate the friendship and many sources of knowledge within the Society." His theme during his presidency was "Be thankful for the help you get from the 'Old Timers' for because of them you leave a meeting richer than you came." He was field trip chairman for three years (rained out only once) and served as president from March to July of I960 when the Browns moved to Edmonds, Washington. Robert Fisher Wilbur was born in Omaha, Nebraska, April 11, 1895, and "arrived with the last snow fall of the season, so I've been told." His parents were Edward C. Wilbur and Elva Fisher, both of Omaha. His father's occupation was Railway freight-Rate Specialist. Young Bob attended primary schools and later the secondary Central High School in Omaha. He entered Oregon Agricultural College at Corvallis in January 1917 on returning from the Pancho Villa Campaign in the Lower Rio Grande Valley. He took a "recess" from April 1917 to August 1919 for machine-gun service in France (World War I). He was wounded in the Somme Offensive, hospitalized in London and Marseille. In 1919 be returned to OAC and in 1923 was graduated with a degree of BS in Agriculture, majoring in plant pathology. Over the years, Bob was Scoutmaster in Corvallis and also in Nogales, Arizona; Commander of the American Legion in Milton; president of the Federal Employees Union in Nogales; Member of GSOC and the society's Treasurer, Vice-President, Business Manager of the News Letter; and President following the resignation of Franklin Monroe Brown. His term of office was from July 10, I960 to March 10 1961. In August 1924, Bob married Perle (Polly) Johnson of Milton-Freewater, who died in 1947. Their two daughters, both married, are Elaine Allison of Lake Oswego and Gail Linder of San Diego. There are seven grandchildren. Mr. Wilbur's occupations have included the following: Agent, U.S. Bureau of Plant Industry on white pine blister-rust control in western Oregon, 1921; Deputy State Horticultural Inspector for Benton and Linn Counties and later for Morrow and Umatilla Bounties, 1922-1929; Assistant County Agricultural Agent for Umatilla and Morrow Counties, 1923-1924; Plant virus research on certain crop diseases at the Hermiston Experiment Station in 1928 and 1929. From 1929 to 1961 he was Plant Pathologist with the U.S. Bureau of Agriculture in Plant Quarantine Service - first at Nogales, Arizona, then in Seattle, Washington, and finally in Portland. He retired in 1961, at which time he received a letter of appreciation from the Secretary of Agriculture. His hobbies are geology and paleontology. He gave his large collection of fossils and rocks to the Oregon Museum of Science and Industry as a working collection for students in 1968. "The subject became increasingly interesting to me as the result of observation and reading. While driving from Portland and Seattle to the various sea ports, during the years I was on Federal plant quarantine inspection work, my curiosity was aroused by a number of phenomena. Starting at the home sea port of Portland, there was the Mount Tabor Crater with its mouth choked with water-worn gravel. How come? "West of McMinnville, on the way to Coos Bay, I saw that big rock on a hill top, reportedly dropped there by an iceberg. How come? "At Cape Arago near the lighthouse the strata were all up-ended. How come? "After pondering over these and many other puzzling features, I determined to learn more about geology, and the only logical way seemed that of joining an organization that fostered such educational endeavors. I joined the Geological Society of the Oregon Country in 1948 as a follow-up to an Oregonian announcement regarding the regular meeting and program at the Public Library." John Hayne Hammond is a native Oregonian both by birth and interest. He was born on August 17, 1911, in Oregon City. His education was attained in the local schools. He received his B.S. degree from the University of Oregon in 1937, and the D.M.D. in 1942, from the North Pacific College of Dentistry, now the University of Oregon Dental School..
Dr. Hammond has practiced dentistry in Oregon since returning from the service of World War II as a commissioned Major. His office is in the McCald Building at Oregon City. He is a member of the Academy of General Dentistry. In 1937 he married Esther H. Reiner. They have two children. John Hayne Jr., was born in 1943 and is married to Paula Biggs. John is an enthusiastic Camp Hancock alumnus. At present he is serving in the army as a Captain and is an attorney in the Judge Advocate General's office at Fort Rucker Alabama. Their daughter, Anne Catherine was born in 1945 and is married to Donald Gassaway. They have two children, Kari Anne, and Ronald Mason, and live in Oak Grove. The organizations which attest his native interest claim him as a member and officer. He is past president of the Native Plant Society of Oregon, past Oregon Chairman of the Nature Conservancy, member of the Forest Park Committee of 50, Member of the Oregon City Color-slide Club, and President of the Portland Christian Institute. Dr. Hammond considers himself to be an amateur botanist. He is a photographer specialist of native Oregon plants, flowers, and birds of which he has over 4000 slides that he uses in his many lectures to nature and garden clubs. When asked about the beginnings of his interest in geology, Dr. Hammond thoughtfully remembered his early curiosities. While in the service, he studied conchology at St. Petersburg, Florida. He roamed the estuaries of Tampa Bay and Boca Ciega while making a special study of the ancient corals. Many earth science projects were coordinated with these nature studies. 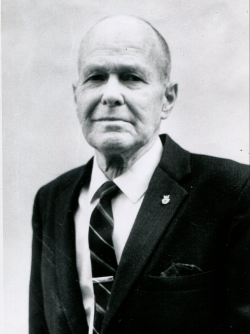 When his son, John, was boy scout age, Dr. Hammond organized the first Natural Science Post in the Columbia Council 770 of the Boy Scouts of America and was their leader with the assistance of Murray Miller for nine years. Through the association and. the interest of Leo Simon in nature and photography, James Stauffer in conservancy and geology, and Murray Miller in natural and earth sciences, Dr. Hammond soon found his friends' urgency attractive to join them on a geological field trip. He acquired an immediate taste for the Society's activities and continues to enjoy both meetings and friendships. Leonard Hatsil Delano was born on August 30, 1908, in Seattle, Washington. He is the son of Hatsil O. Delano from Humburd, Wisconsin, and Nancy S. Suit of Sardis, Kentucky. When a very small boy he and his parents moved to a farm in Clackamas County, Oregon, where his brother, Howard, still resides. His father was employed for 16 years as chief inspector for the railroad's Interstate Commerce Inspection Bureau. Mr. Delano attended Benson Polytechnic High School and was a member of the class of 1930 at the University of Oregon where he belonged to Sigma Delta Chi, the honorary journalism fraternity. His major journalism professor was Dr. Eric W. Allen father of Dr. John Eliot Allen. He took courses in geology and geography from Dr. Warren D. Smith. On July 18, 1937 Leonard married Emily L. McCornack of a pioneer Oregon family to which Ellen Condon McCornack was related. They have two sons. Douglas, born Feb. 22, 1940 and his wife, Jennie, have two daughters: Darcie and Julie. They live at Lake Grove. Leonard Jr., born, March 20, 1942, is presently working and attending school in Chicago. Leonard and Emily own the Delano Photographics, aerial surveys and commercial photography, and the Western Mapping Company, a photogrammetric mapping firm which they have operated for more than 30 years. The many local and national mapping societies vie for time in his busy schedule. 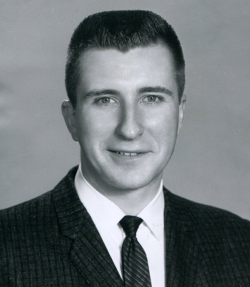 In 1969, he was general chairman for the national convention of the American Society of Photogrammetry and the American Congress on Surveying and Mapping. He is past president of the local American Society of Photogrammetry. Aerial photography and mapping work further triggered an interest in geological land formations. Evening classes in the earth sciences taught by Dr. Ruth Hopson Keen were found to be most stimulating and informative. Before becoming president of the Geological Society of the Oregon Country, Leonard served as program chairman. His affiliations have been continuous in the Masonic lodge and the Presbyterian church. Albert Richard Kenney, Sr., was born on December 7, 1913, at Reuben, Josephine County, Oregon, the eldest son of James Peter and Opal Harlin Kenney. Reuben then was a "whistle-stop" on the Southern Pacific Railroad and is no longer in existence. With the responsibility of a child, his father had just given up gold mining as an occupation for that of a railroad employee which offered a more reliable income. Albert received his grammar school education at Metzger, Oregon, and was graduated from Tigard Union High School at Tigard, Oregon. The depression prevented him from using the science scholarship which he had received. As an alternative he pursued his interest in the natural sciences by attending night school whenever he could. The depression further directed his steps to the CCC Camps where again he was in contact with the natural world. Albert moved to Portland and became an employee of the Southern Pacific Railroad. Here he married Laurette Wheeler and together they reared three sons, Albert Richard, Jr., Charles Harlin and Robert Roland. Their first date reflected their interest in science for she took him on a tour of the museums and animal department of the University of Oregon Medical School upon which campus she was employed. During a portion of World War II Albert was in the service of the U.S. Army and was stationed at Camp Wolters, Texas. After the war, prompted by the desire to rear their children outside of a city and their love of the ocean and marine zoology, Albert and Laurette moved to Netarts, Oregon. While living at the coast, Albert searched out the Astorian fossils up and down the coast. While living at Netarts, Albert went into the employment service of the State of Oregon at Tillamook. The office was adjacent to the Chamber of Commerce. Learning through this office of Camp Hancock, he volunteered and served as counselor for three consecutive summers. It was through the contacts there he learned of and joined the Geological Society. He had served as President of the Tillamook Rock Hounds, the one local society that approached his interests. Albert tells this story of the incident which kindled his interest in geology. With the advent of the Model T. Ford, touring became a vogue. His parents became addicted to this mode of recreation. They would bundle their four offspring into the Ford and away they would go. It happened at the Oregon Caves. As children were not permitted on the tours of the caves at that time, Albert's parents instructed him to take care of his brothers and sister while they made the tour. It was very evident that Albert was disgruntled. A lady noticed and as an effort to pacify a heart-broken boy, she directed his attention to fossils which were in a nearby bank. This kindled an interest that never waned. As his predecessor, Leonard Delano, had instituted the practice of pursuing a theme for his term of office which was photogrammetry, Albert chose the Geophysical Provinces of Oregon. President Kenney instituted the first President's Camp-out which was a week long caravan trip through the Steens Mountains. The banquet for 1964 was the first to be held at Portland State College, now Portland State University. Irving Gilbert Ewen was born on October 12, 1932, in Chicago, Illinois. Soon after, Portland became his home. He later attended Gregory Heights Grade School and received his high school diploma from Ulysses Simpson Grant High School in June 1950. Pursuing courses in geology and geography at Oregon State College where he was affiliated with Delta Sigma phi fraternity, Vanport College, Portland State Extension Center, and Portland State College he was graduated in June 1959. From June 1956 through June 1958, he served in the U.S. Army full time for two years. His experience included being stationed at Ft. Belvoir, Virginia for three months and working at the Army Map Service in Washington D. C. Appro­ximately one and one-half years were spent at Ft. Sam Houston (San Antonio) Texas with the Fourth Army Headquarters with a "Terrain Intelligence Detachment." Irving became interested in geology at Portland Extension Center (fore-runner to PSU) when he took the first course taught there by Dr. Ruth Edwinna Hopson (affectionately referred to by her students as "Aunty Ruthy"). His interest in geology and his attendance at GSOC meetings was inspired by Dr. Hopson. The appetite for field work and an appreciation for the out-of-doors was whetted as a result of several field trips to Collier Glacier in the Three Sisters Wilderness area. Credit for his continuing interest and inspiration in geology is due in great part to Ralph Stevenson Mason, State Mining Engineer with the State of Oregon Department of Geology and Mineral Industries (known to many as "DOGAMI"). The frosting on the academic cake can be attributable to Dr. John Eliot Allen, Major Professor and Head of the Geology Department at Portland State College. A significant accomplishment of his senior year at Portland state was an extensive in-depth study of the land slide problems of the Wind Mountain Girl Scout Camp, east of Stevenson, Washington. 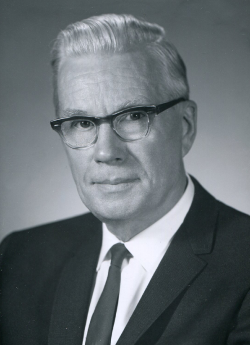 After attending several meetings of the Society at the Multnomah County Library, he became a member in 1954 and served the membership as Field Trip Chairman, Library Night Chairman, Banquet Chairman (two years), Editor of the Geological Newsletter (five years), and then was elected President in 1964, followed by two years as a director on the Executive Committee. The theme he chose for the year's lectures during his presidency was "Man and His Minerals." His President's Campout was held on Labor Day week-end, September 4-6, 1964, at the Bohemia Mining District, east of Cottage Grove. Twenty-six GSOC’ers attended. This area was chosen because of its historical interest, accessibility, and proximity to the Portland area. It was felt that visiting some of the famous mines of the area would help emphasize the importance of "Man and His Minerals." The hobbies and other interests that greatly consume his time are hiking with the Mazamas and being a member of two rail­road enthusiast groups: Vernonia, South Park and Sunset Railroad and also the Pacific Northwest Chapter of the National Railway Historical Society. "Irv's" part time employment during college days was with the state of Oregon Department of Geology and Mineral Industries, He spent one summer as field assistant to Andy Corcoran (During this time he became a charter member of the "Armstrong Drilling Company" on the Bauxite Project in the South Salem hills). He also gained experience during college with the Department in drafting geologic maps. His full time employment since 1959 has been with the Multnomah County Planning Commission.